Last month, I was invited to shoot the premiere performance of centrifuge: carmen sampled – a new work conceived by Mi Zhou, with music & visuals by pioneering multimedia artist Robin Storey, and choreography, dance & lighting by Johanna Devi. I had the privilege of shooting a day of rehearsals about a month earlier, and I was looking forward to seeing the full production at the Bloomsbury Theatre. The performance was the culmination of a three-day conference convened by the multi-talented Dr Zhou on the various manifestations of Carmen, perhaps most widely-known as the opera by Georges Bizet (music from which formed the basis of the preceding evening’s sister event carmen: staged, featuring the University College Orchestra and Susanne Dietz of London’s Shunt Collective). 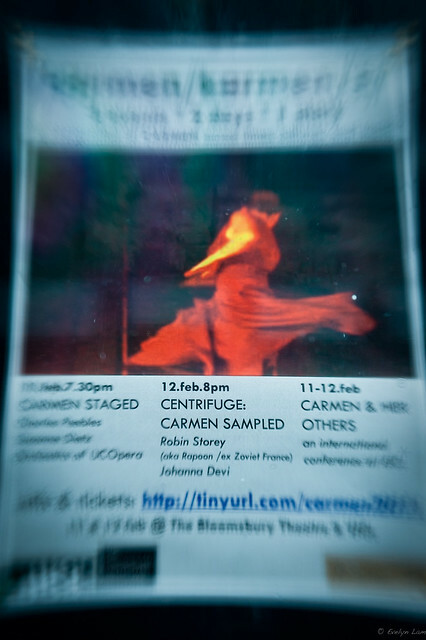 There are plans to take centrifuge: carmen sampled to Berlin, so hopefully there’ll be another opportunity to see this groundbreaking production soon. 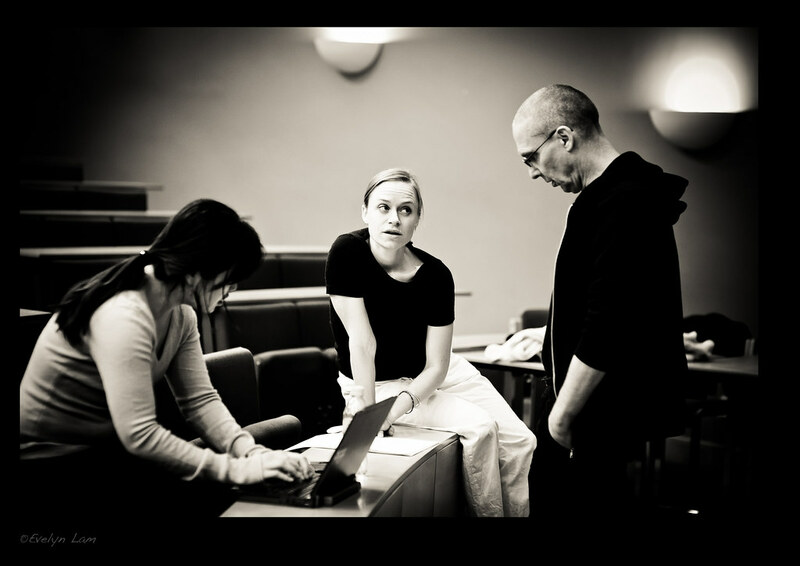 Last month, I was invited to document the rehearsals for a new production a good friend of mine was producing and directing. Not sure what to expect, I headed down to UCL and was led deep down into the bowels of the creepily gothic Cruciform Building to meet the artists, Robin Storey and Johanna Devi. Typical of a uni lecture theatre, the stage was cramped, the lighting was awkward and none of the AV plugs fitted into the available ports (not ideal when the show involves video projections!). Pros that they are, the three creative principals didn’t let that deter them, while I tried to be as unobtrusive as possible…..